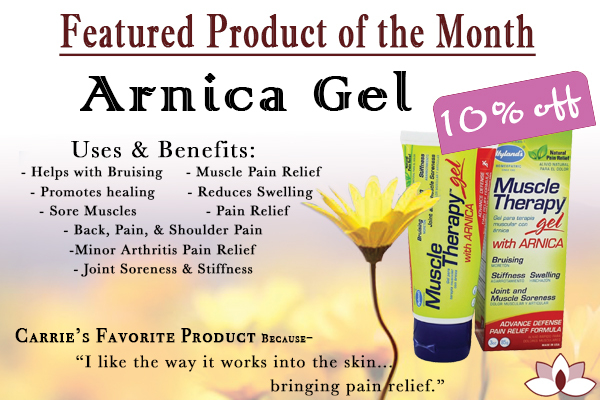 Muscle Therapy Gel with Arnica is the one of the first natural remedies for inflammation, reduction in swelling, bruising and trauma to a specified area. One of the main properties that are used in this product is Arnica. What is Arnica, you ask? Keep on reading to learn more. Arnica is actually Arnica Montana and it is derived from a daisy plant. It has many known alias’s such as: Fall Herb, Mountain Daisy, Leopard’s Bane, Well­bestow, Wolf’s Bane, and Wound Herb. It is said to originate from Europe in the high-elevation of areas that surround, and including mountains. Arnica really loves it sun and really thrives in it with the amazing terrain and cultivated soil. Arnica dates back into the 1500s and was used for the same as it is today, pain and muscle relief. You can use it in two different ways: topically – such as creams, gels (Muscle Therapy Gel), ointments; and orally – which can only be used in the homeopathic form – pills, tablets, and liquids. All of our Staff recommends this product and our families use it, as well, to treat any bump or bruise. Can be used by children, pets, athletes, adults, anyone with pain. 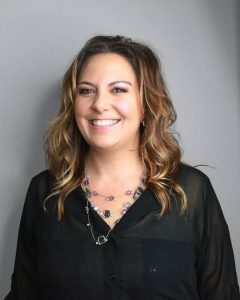 Congratulations to Jessica H on her promotion to Assistant Manager of our Colby Location and her promotion to Senior Stylist. Jessica has been our salon educator for the last two years. She is always striving to better herself and her knowledge base for her clientele. We are very excited to have her on our management team and look forward to our future with her. You may already know that skin is our bodies largest organ, but did you know that the skin you see now, will be gone in about a month? That’s right, our bodies get rid of 30,000-40,000 old skin cells everyday! Skin cells change shape, they start off fat and square. Over time, they flatten out and when they get to the top layer of skin, they flake off. Over 50% of the dust in your house is actually skin! Can you believe that there are about 19 million skin cells in every square inch of your body, that means there are about 300 million skin cells on your body! On average, you shed about 9 pounds of skin cells per year! What are some important things to know about skin? Changes in skin, if you notice you skin is drasically changing, there might be something causing that you need to address. Pimples for example are not always caused by diet or dirt. Hormone levels and menstratuion can be some of what is causing breakouts, as well as sweating, some medications or beauty products. If you have heard that the sun can make acne better, that is not actually true. The UV rays actually stimulate oil procution, in turn actually causing acne to worsen. The other thing you need to watch out for is moles, and the ABCDE’s of skin cancer. If you notice any of these changes, you should see your docotor right away. There are some vitamins that are crutial for healthy skin. Vitamin A treats sun damage and cellulite. Vitamin D reduces spots and growths. Vitamin C is an antioxidant, regenerates Vitamin E and provides sun protection. Vitamnin E is also an antioxidant and protects against sun damage and aging. Skin is a very interesting organ, the only one of its kind to have all the functions it does. From protecting our organs, muscles, and bones to regulating our body tempurature. Skin is an amazing thing! How many times have you walked out of a spa or salon and felt like you walked through an automatic car wash? Same massage strokes, same order, same jokes, same experience for everyone…? 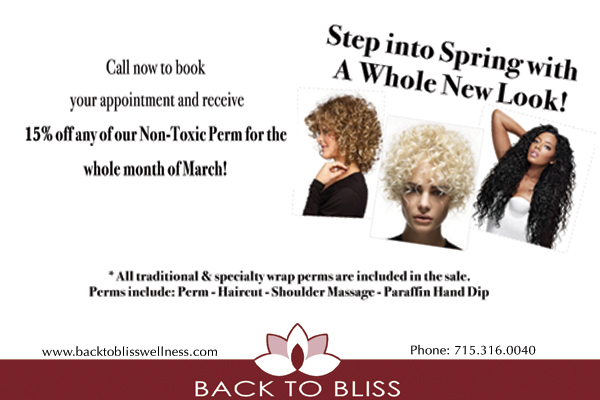 At Back To Bliss, we know that the best results are attained by tailoring your experience to your unique needs. Striking a balance between indiviual tweaks and maintaining consistency is something we pay a lot of attention to. We ahve put a lot of effort and thought into ways that we can give you options. We use the word Preferences at Back To Bliss to designate those opportunities for individualizing your services and experience. Look for that word when booking your appointments, on our intake forms and in your feedback. Anything that we have earmarked as a Preference is something we can and will adjust as long as you make your preferences known. You don’t have to be shy! You don’t have to settle! There is a system in place that everyone knows about and uses for you to let us know what you truly want. You know what you can and can’t adjust. Even if its not a stated Preference that we accomodate, we might be able to wiggle things around for you. If not, then we will tell you. But at least you know what we can easily adjust. So many people don’t love love love the experience they receive at a salon or spa but they don’t quite know why. We have a lot of experience in listening to what people didn’t like and what they loved. By observing the Preferences Back To Bliss asks about you might just tap into what you can tweak to find that love love love experience for yourself. Our providers are all unique. That uniquness is a wealth that many big resorts and salons try to erase into a single ‘brand image’ and singular ‘protocol.’ Preferences allow us to keep the wealth of creativing and knowledge available in our providers while still giving you a way to communicate your specific needs so your experience stays true to you. Have you ever been getting your hair done, deep in a great conversation, and then the phone rings? six days a week. Receptionists are a serious cost to any business, and most of the stylists, massage therapists, yoga studios, and other service providers in our area can’t or won’t commit to providing dedicated receptionists to help serve their clients. You won’t have your service interrupted constantly by a phone call. After all, you are paying for the service, not the person on the phone. 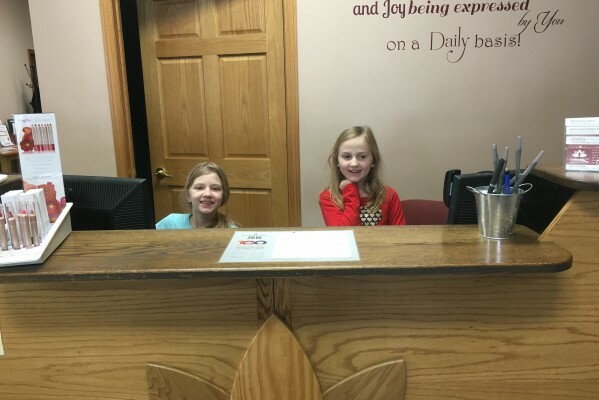 Our receptionists have regularly scheduled hours. They are available so you can stop by to make purchases or have questions answered and know someone will be there during those times. Not all of our locations have a receptionist and we know how much extra work is involved in aligning schedules to make sure we are there in person for you. Our receptionists provide a barrier between you and your providers. This extra level of professionalism is a serious perk. Many times you and a therapist or stylist just won’t click and you will want to try someone different. The receptionist makes all of the conversations about you getting the preferences you need easy. They will help you sort through the different providers we have to match you with their best (educated) guess. You won’t have to worry about interrupting your providers personal time by calling any time of day or night about your appointments. Just leave us a message any time thats convenient for you. You can enjoy a deeper therapeutic relationship with your providers because the ‘business’ of scheduling and billing etc, is handled by someone else. Your service provider can just be there to serve you. You know you can get a hold of someone quickly. Your schedule is always changing, and having a receptionist means you can talk to someone and see if the appointment schedule can be wiggled to fit those changes. We have recently added our reception staff to the Meet Our Team page. Check out their smiling faces there. Its been over five years since we moved into our new Colby facility. There has been a lot of growth and development during that time and it has been quite a while since we have made any large changes to the way we do things. However, its time to comb through our offerings and streamline things so that we can continue offering the best service we can. We are sprucing up the place a bit with some new decorations to keep our facility looking great. And, most importantly, we have some fairly significant sprucing ups planned for our Menu Of Service offerings across the whole facility. Why change things? Well first of all, the space has seen tons of use. Everyone likes the renewed energy of a remodeled and it’s time to reinvigorate our facility. Now that the salon remodel is done, it is brighter than ever before, which helps our stylists see more acurate colors and nuances in the cuts that they give. It gives a ‘new car’ feel to the whole place, and that renewal is good for all of us. But, the biggest reason for the planned changes is that we have learned from our experience. We have learned what was too complex, what wasn’t well received, and what worked really well. Our menu of services remodel will streamline and focus what worked for everyone to have a better experience. Enhancing the quality of your experience. Enhancing the clarity of our communication with you. Improving the way we apply our core philosophies of wellness throughout our interaction with you. The goal is nothing less than providing you with better results! After all, that is our mission, to get you back into a state of connection with your heart where you can live confidently, courageously, compassionately, and joyfully. We mean it, and that is why we are mustering the effort to cleanse and renew our space; for greater quality of service to our community. Feb 1st – Launched the new Yoga and Fitness Class policies and payment options to accomodate more flexibility for students. Now there are no more restrictions to starting and taking classes any time you are ready. Check out the full list of policy and price changes already implemented here. These changes should remove many of the barriers to starting and taking class whenever you are inspired to do so! Feb 12th – The launch of a new price level, Experienced Level, and the Promotion of Crystal Chenier as our first Experienced Level Provider. This new level lies in between Advanced and Senior. This fine tuning of our level system will keep promotions consistent allowing our staff to receive regular raises and allowing Back To Bliss to keep the best talent in the area. We made the choice to add a level and increase our complexity here because we place such strong requirements on our providers to get their promotion to Senior Level. These requirements all involve our practitioners being able to mentor, educate, and exude the wisdom that only can come from 7-10 years of practice in our craft. Thus, simply accelerating the pace of level advancement doesn’t really work for us, and we needed to add one final level to fine tune and complete our level system. This change affects three other providers in our facility. Jessica Hopperdietzel will be moved to Experienced Level, her prices remain unchanged. Carrie Schug and Monica Groth are both Senior Level Providers and the addition of a new lower level means that the prices of the senior level have risen. The price increase on Senior Level Services, affecting Carrie and Monica, goes into affect on March 1st. Late Feb. – Your Online Booking Experience is being simplified. Updates to our software now allow us to remove the complexity of listing every level for every service as an option for you to choose. Now all services will automatically have the appropriate price for the level of provider you choose applied automatically. We are also busy preparing materials that explain how to use our online booking service. Early March – Menu Of Services Adjustments Will Begin – We will begin changing service names, adding additional services and restructuring the Menu Of Services. This process should be gentle and will be processed throughout the month, however there will certainly be a learning curve while we all get used to new names and options. Several services will be discontinued at this time. Adjusting the prices of our spa services so that they are less complicated. We already have many prices because of our price levels. Now all of our spa services will follow either a basic pricing or a specialty pricing track. Specialty services will be those services that individual therapists have specialized training in beyond that expected by Back To Bliss and beyond what is typically offered in schools. This means that some services will have their price dropped and some raised to conform to one of the two pricing tracks. The Restructuring of our Signature Elemental Massage will allow us to have consistency in our “signature” services across all departments. Basically we have created a Basic Massage to complement our Signature Massage. 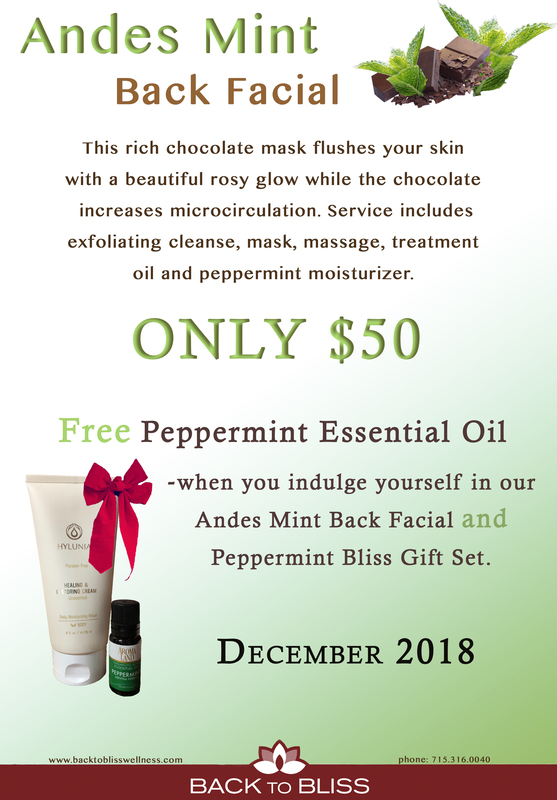 The signature massage will be the same as we have always provided, but will be placed onto our speciality pricing track (which is an increase) while our basic massage will be available without any ayurvedic aromatherapy oils at the lower pricing track. Renaming and changing our Salon services so that we can more clearly communicate. It is a struggle to appropriately communicate our needs in terms of time required, amount of color needed, and other nuance in just a few short service offerings. We keep working on making the process clear so that as many questions about price and length of service time are answered as early as possible. The addition of online booking makes the need for clarity in our service descriptions and names even greater. The salon services are being extensively adjusted to improve the quality of communication so that we get you booked for the appropriate length of time. Removal of many programs and services from the menu. We pride ourselves on accomodating your preferences, however it is just as important to be clear and simple. We have tried many things over the years to help make wellness available. Many services such as our body ease series have been removed from our menu completely due to lack of customer interest. Programs such as our Corporate Wellness Programs, Senior Citizen Tuesday Discount Day, and others have been removed for the same reason. Other discounts and services have been tweaked or adjusted to make them work better such as our pregnancy massage discount, which is having its discount amount moved over to a package option so it can conform to our new policy of offering only two pricing tracks. Late March – Remodeling the front desk area. Moving the reception desk will increase the ease and effecieny of flow. As we have grown, we are witnessing the change in noise levels and the way that our front desk traffic flows. This simple adjustment should make a noticable difference in the quality of your experience. April 1st – Launch of new Cash Discount Program aimed at keeping business local and helping our community stay strong. Basically, our business has seen a dramatic increase in credit card payments over the last couple years. This cost, along with other several other general cost of doing business increases, has become significant enough that we are implementing a gentle price increase across the entire facility. However, we are launching our cash discount program, where all cash transactions will receive a 1% discount at the register to coincide with the price increase. April – Adjustments and updates to all of our intake forms. We want to make sure we are serving your needs. As both a spa, salon, and a therapy center, the intake process can sometimes ask too many questions or too few. Basically we want to streamline this entire process so that we give you better service. Two of the main adjustments will be the addition of a more complete health history intake for our therapy focused clients and a system that will help you choose to provide more frequent feedback. We want to make sure you can adjust your preferences based on changes to your mood, health, or provider. Opening a formal way to communicate is important to us so that you can always continue to get the best service. 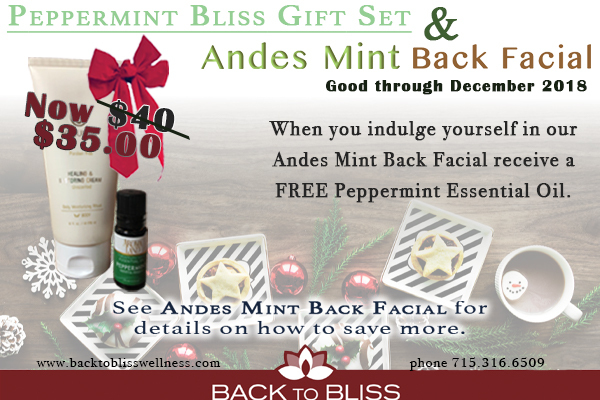 These adjustments are substantial, but we know that by June, your experience (and results) at Back To bliss will be much better. Thanks for working with us as we make these changes. We know they will pave the way so that we can continue to serve you and our community now and long into the future.